USD is weakened against the strong EUR due to the U.S. Manufacturing PMI. The support rests at 1.11870 with resistance at 1.12150 which both lines are below the weekly pivot point at 1.12420. The EMA of 10 is moving with bullish bias along the ascendant channel and it is reaching the EMA of 100. The RSI is moving above the 50 area, the Stochastic reached its maximum rate and the MACD indicator is in negative territory. 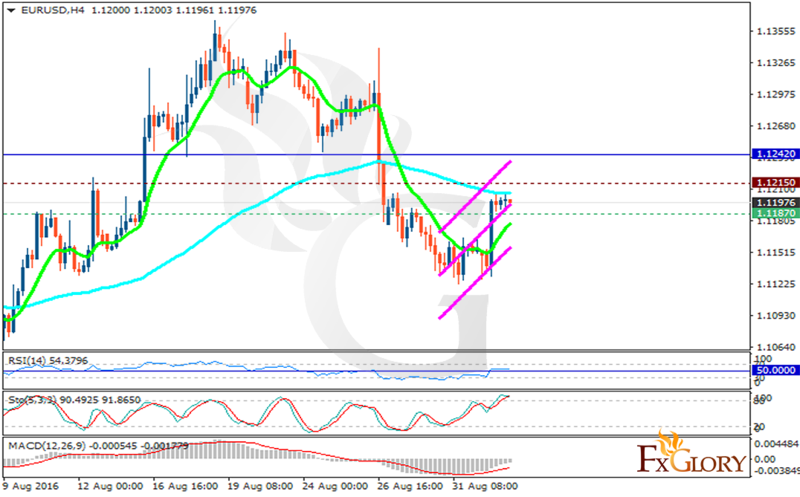 In terms of the bullish continuation the pair will reach 1.1270 otherwise sellers can target 1.107 area.